A sculptural pendant featuring an eye-catching labradorite. The labradorite is polished on top and matt underneath. 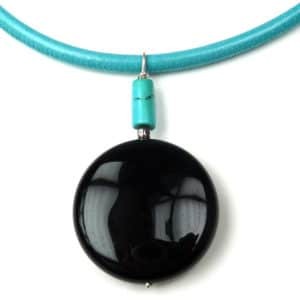 It measures 8cm x 3cm approx and drops from a fabulous 14mm diameter turquoise sphere. 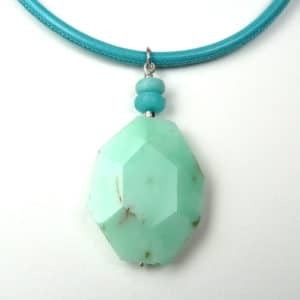 The necklet is stitched turquoise leather with a stainless steel magnetic clasp. 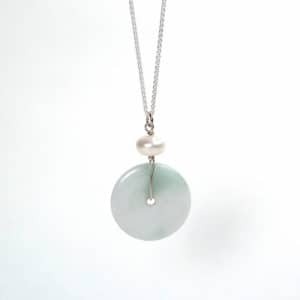 Length, including clasp, is just under 20 inches. 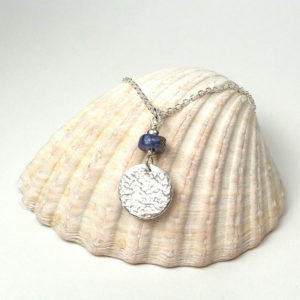 Pendant drops 10cm from centre of necklace and the metal fittings of the pendant are sterling silver. 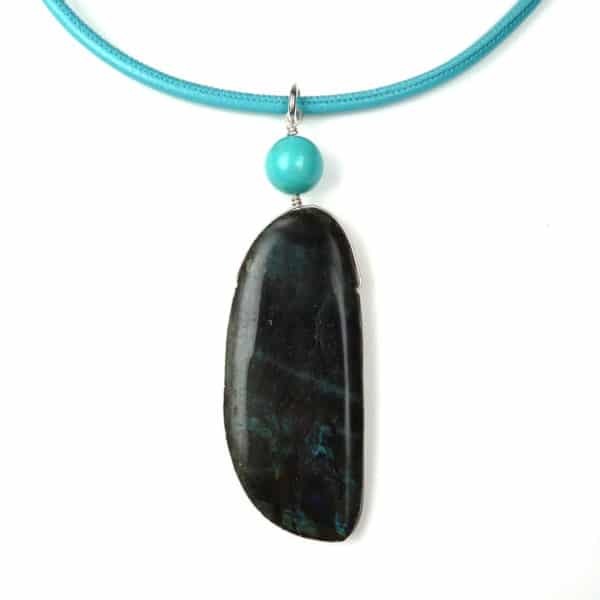 Please note that as the labradorite is slightly rough underneath, it is not advisable to wear the pendant over delicate fabrics, in case of possible snagging.